 Carl Reese and companion set new world endurance record for motorcycles. Eight-time endurance driving record holder Carl Reese of California and his companion Sebastián Montero of Ecuador have set a new world endurance record for motorcycles. The pair rode BMW R1200GS adventure bikes from the closest point on Earth to the sun, down to sea-level in a single day. During their endeavor, Reese and Montero had a total gain/loss in elevation of 56,678 feet. 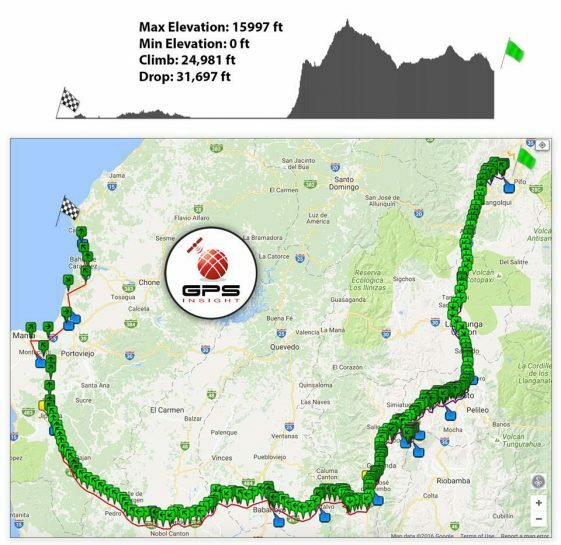 Ecuador is the only place on Earth where Reese and Montero’s world endurance record can be accomplished, as the country is home to Chimborazo, the highest mountain in Ecuador. While Chimborazo at 20,548 feet is no the tallest mountain on Earth, its peak is the closest point on the earth to the sun due to its location along the equatorial bulge. 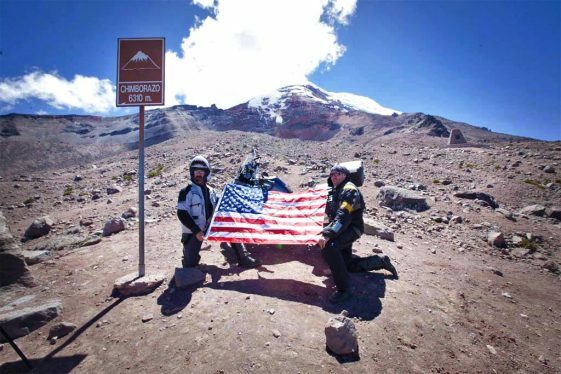 Chimborazo is typically off-limits to motorcycles due to the remoteness of the mountain in the case of an emergency, but Minister Serrano granted Reese and his team special access to the natural wonder for his record-breaking attempt. Reese and Montero’s elevation record-breaking route from Chimborazo to Canoa Beach. Reese atop Chimborazo, the highest mountain on Ecuador, boasting the closest point on Earth to the sun. Reese and Montero embarked on this record-setting ride to bring awareness to the Coalition of Hope Foundation’s efforts to rebuild Ecuador after the devastating 7.8 magnitude earthquake as well as to increase awareness of the Motorcycle Relief Project, a charity that provides relief to combat veterans with post-traumatic stress disorder and other injuries. 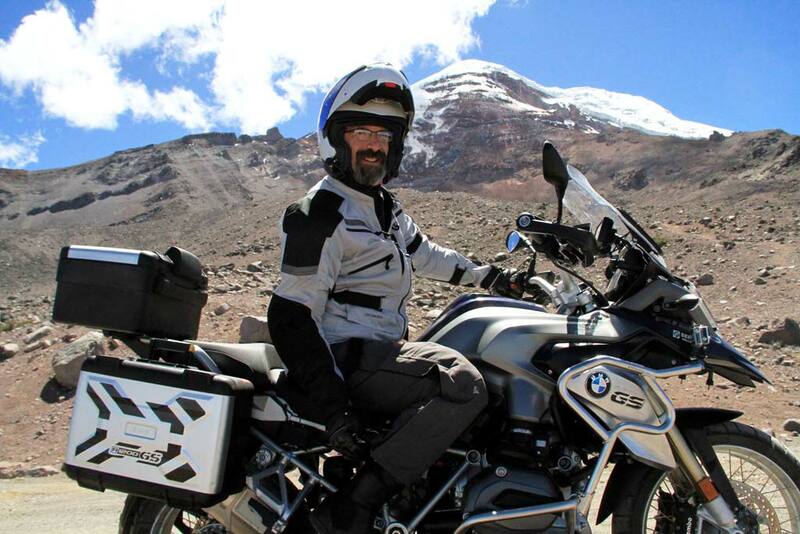 Just one question though: R1200GS or GSA? The first paragraph and the last photo are contradictory.